This year Tweed Ride Moscow will be held on 19th of May. Participants will take part in special activities occurring throughout the route, from the classic Tea Break to an exclusive soiree at the end of the course. Additionally, prizes will be awarded in numerous categories including the usual awards for Best Vintage Bicycle, Most Dapper Chap and Most Dashing Dame. 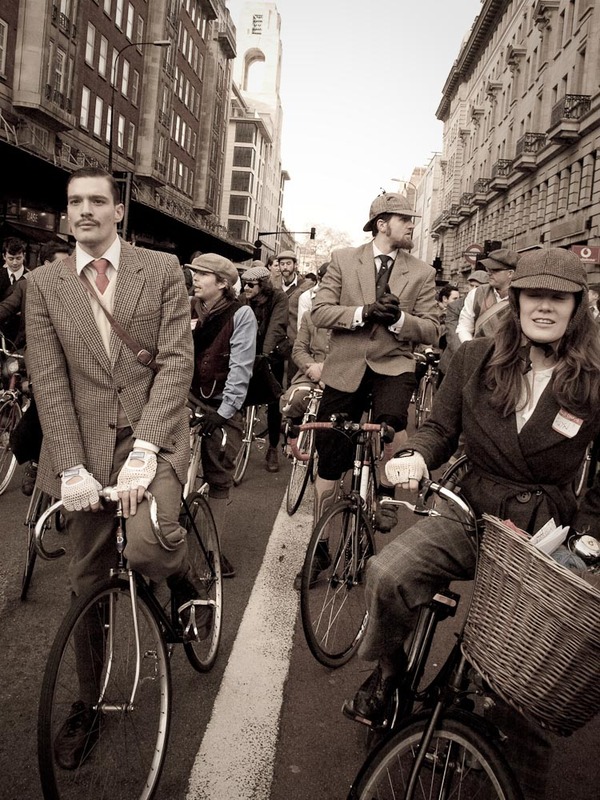 Tweed Ride is a celebration of old-fashioned style, cycling, and good times. It’s a group bicycle ride, in which the cyclists are encouraged to dress in classic tweed or a smart looking outfit. Any effort made to recreate the spirit of a bygone era is appreciated, and any and all bicycles are acceptable. Similar rides have taken place in locations such as New York, Paris, Sydney and Tokyo. This past year London registration sold out in seven minutes with more than 500 participants and celebrities such as Ewan MacGregor taking part.